Wisconsin FORCE is an NRA Chartered State Association that promotes and supports the purpose and objectives of the NRA. 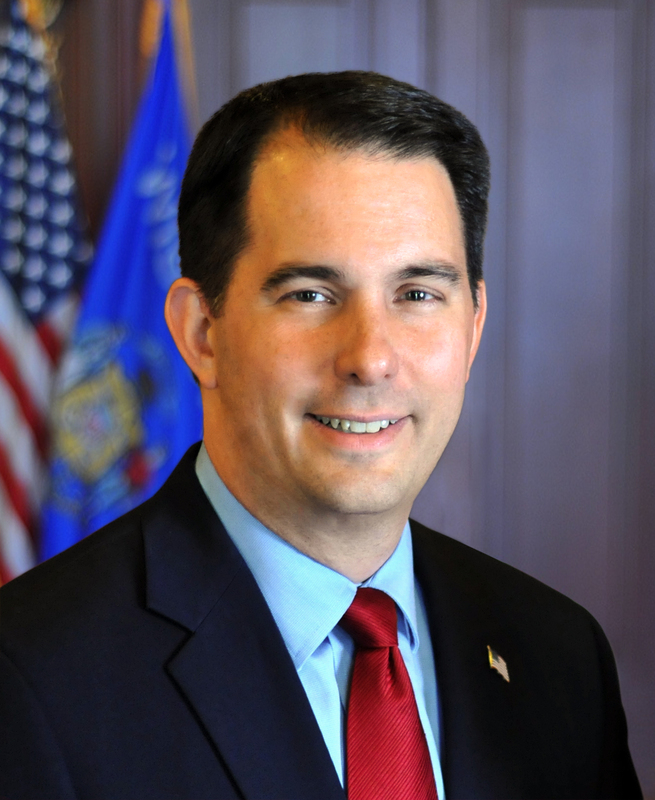 Weston – Governor Scott Walker attended the annual National Rifle Association (NRA) and Wisconsin Firearm Owners, Ranges, Clubs, and Educators Inc. (FORCE) Convention today. The convention was hosted at the Mountain Bay Banquet and Conference Center in Weston. Wisconsin FORCE is an NRA Chartered State Association that promotes and supports the purpose and objectives of the NRA, while also protecting and defending the Constitutions of the United States and the state of Wisconsin. While at the annual conference, Governor Walker also signed Assembly Bill 142 into law. Assembly Bill 142 – as amended, repeals the prohibition on manufacturing, selling, transporting, purchasing or possessing a switchblade knife. Additionally, the bill would prohibit political subdivisions from enacting ordinances or adopting resolutions that regulate knives more stringently than state law. While no local ordinances can be written regulating knives in general, they can pass a local ordinance regulating them in municipally-owned buildings. The bill would also allow a person to carry a concealed knife, unless that person is prohibited from possessing a firearm under state law. Finally, the bill would provide that a person may not be convicted of disorderly conduct for concealed or openly carrying a knife, unless other facts and circumstances indicate a criminal or malicious intent on the part of that person. Authored by Representative Kathleen Bernier (R – Chippewa Falls) and Senator Terry Moulton (R – Chippewa Falls), the bill passed the Assembly on a voice vote and was concurred by the Senate on a voice vote. It is Act 149. Why is it that the states can demand rights but cities and municipalities cannot? That is not fair. Then to forbid cities and municipalities to make any laws against state laws seems to be hypocritical in light of the fact that states demand rights irrespective to Federal government law. They simply cannot stop themselves from consolidating all the power within the state at the top leaving the people with no voice. There is a vibrant joy filled young women dead in Madison Wisconsin today after she was gunned down by an angry rejected suitor on the same day he bought a handgun. Scott Walker would never acknowledge that his administration’s passing a law eliminating the 48 hour cooling off period had anything to do with this young women’s death. They will pass off this needless tragedy the same way they will minimize the ones yet to come:” He could have used a knife or a club.”They growing loss of our civilized values in this state is more concerning than the economic downturn. Both are tragic, but enabling a culture of anger and violence will haunt this state for decades.